Over seventy costumes produced from the 1930s to the 1960s, which have been taken from the archives of Paramount as well as from the Collection of Motion Picture Costume Design and other private collections and all created by Hollywood legend Edith Head (1897 – 1981) are now on display in a remarkable show The Costume Designer: Edith Head and Hollywood at Bendigo Art Gallery. Edith Head had a career that spanned five decades and included nearly a thousand films, first at Paramount Studios and then at Universal Studios. 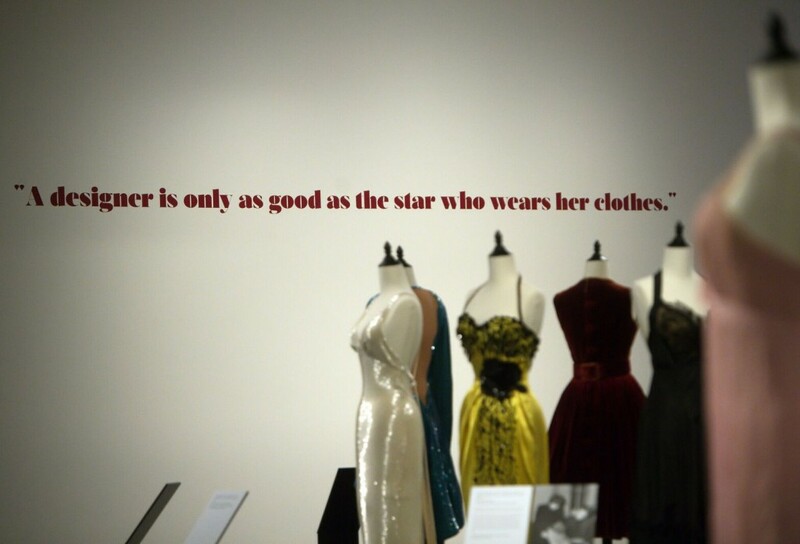 She was largely responsible for associating Hollywood with fashion, glamour, and sophistication. 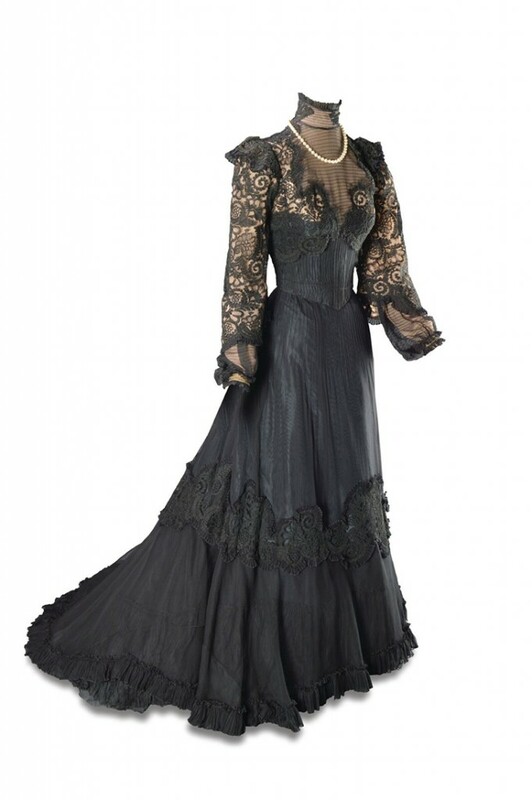 The exhibition includes costumes made for stars like Gloria Swanson, Natalie Wood, Joan Fontaine, Dorothy Lamour, Hedy Lamarr and Veronica Lake, all icons of their day. 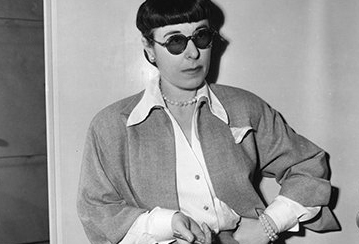 Moving easily between lush, flowing dresses and tailored suits, Edith Head had a particular knack for adding telling details, such as beads or pleats. She was able to disguise apparent flaws in actresses’ bodies by using cut, drape and pattern. She made a point of understanding the character being played so the outfit was appropriate. 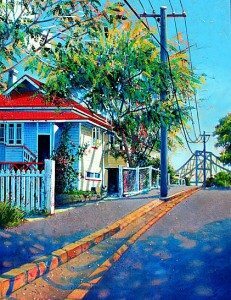 Much of her work however was contemporary with the time she also worked on period films, including huge productions such as The Ten Commandments and Samson and Delilah. 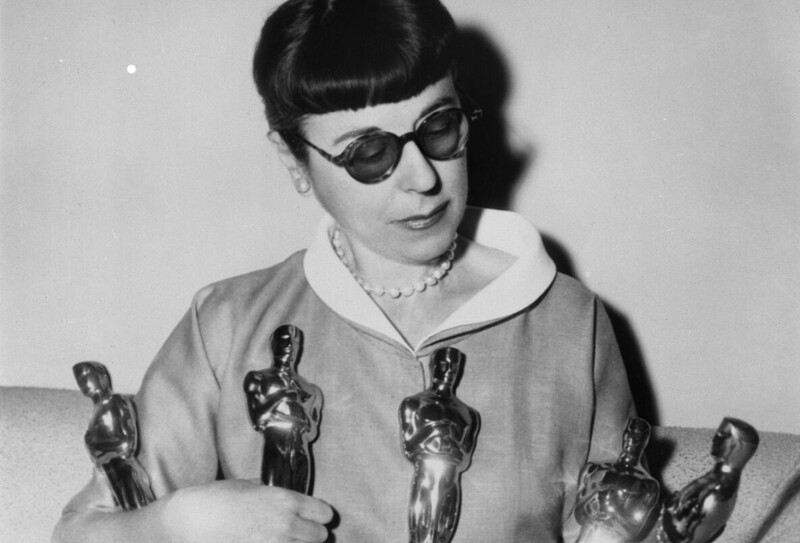 Edith Head was able to produce sensual costumes while meeting the strict requirements of the censors of the era. 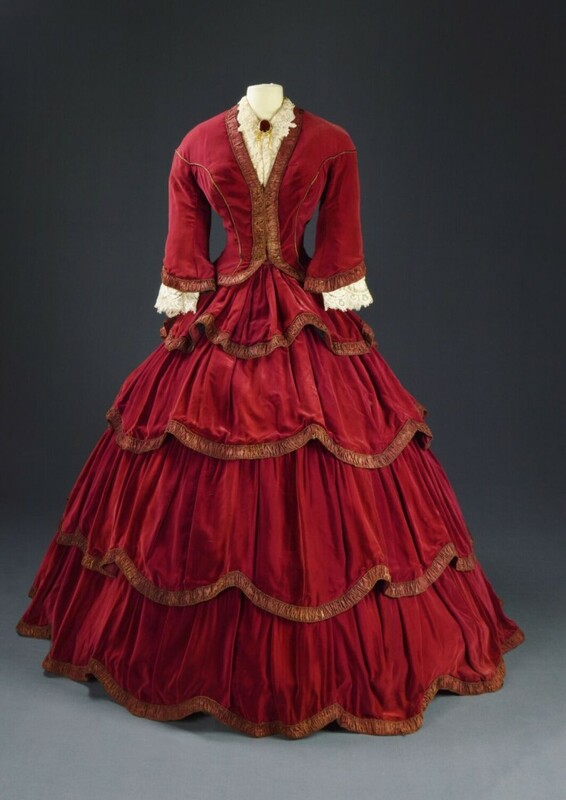 An odd piece is a gown designed for Bob Hope when he pretends to be a woman in Casanova’s Big Night. The dress not only had to hang fairly well on Bob Hope’s large frame, but also had to be tough enough to withstand several comedic pratfalls. Most male actors usually had to supply their own clothes. An exception was the Head-designed jacket worn by Cary Grant in To Catch a Thief, which was – and still is – both casual and classical. 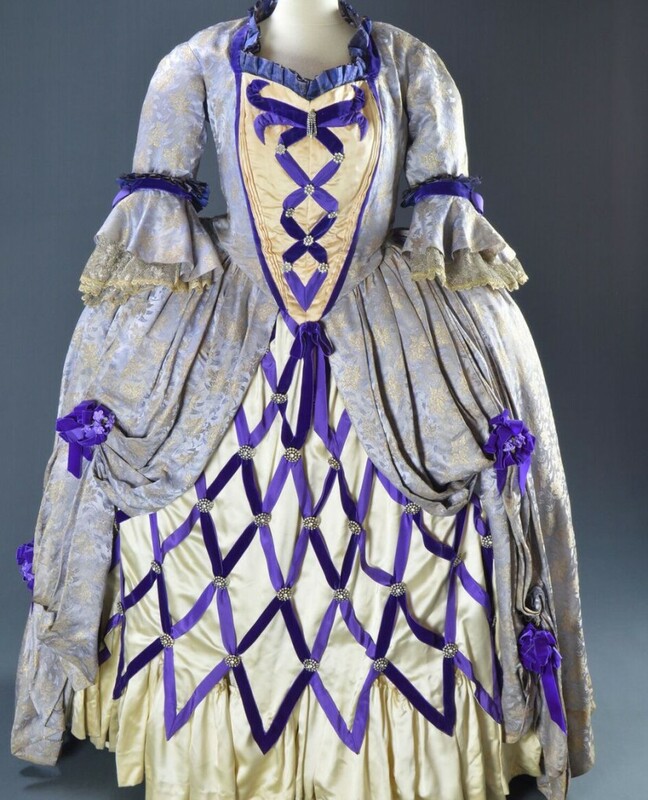 The exhibition includes movie clips featuring Head’s costumes as well as a short film, in which Head appears, explaining the role of the costume designer in the movie-making process. Despite her association with glamour, Head was very unassuming in her own wardrobe, wearing only black, white, beige and brown. This was, she said, so the star she was dressing remained the centre of attention. However, her contribution was recognised to the extent of her receiving eight Oscars over her career, the largest number ever won by a woman. 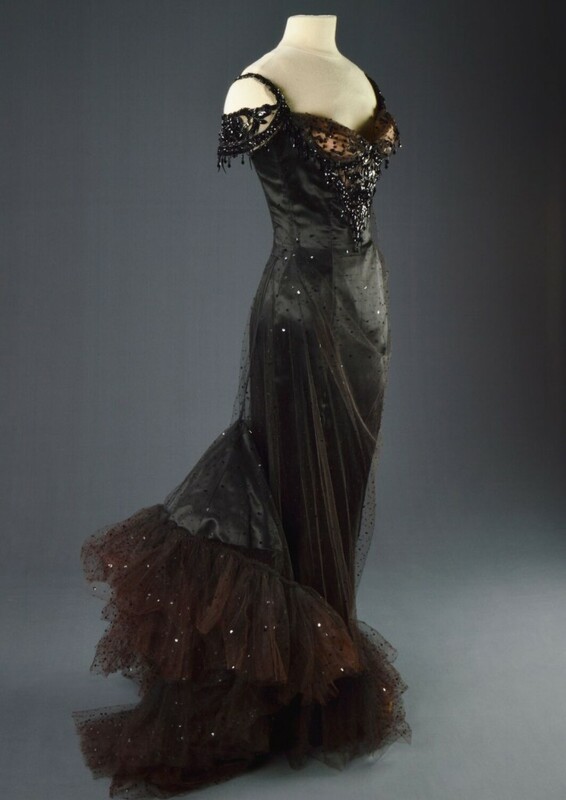 The Costume Designer: Edith Head and Hollywood, showing how glamour was invented, is on at the Bendigo Art Gallery until 21 January 2018. Bendigo Art GalleryBob HopeDorothy LamourEdith Head DesignerGloria SwansonHedy LamarrHistoric CostumeHistoric Movie CostumesHollywood at Bendigo Art GalleryHollywood Designer Edith HeadHollywood GlamourNatalie WoodShirley TempleThe Costume Designer: Edith Head and HollywoodVeronica Lake.